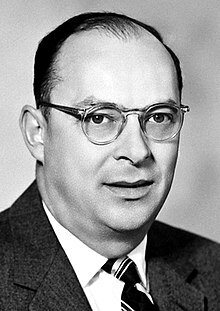 Fisicí a rugadh i Madison, Wisconsin ab ea John Bardeen (1908-1991). An chéad duine a bhuaigh dhá Dhuais Nobel na Fisice . Roinn sé an duais le Brattain is Shockley i 1956 as forbairt an trasraitheora chomhchumaraigh, agus i 1972 le Leon Cooper is Robert Schrieffer as teoiric BCS (Bardeen-Cooper-Schrieffer) na forsheoltachta a shaothrú. Tugadh an leathanach seo cothrom le dáta an 20 Lúnasa 2018 ag 21:42.